This week’s ‘Single of the Week’ request is from one of the online seasoned players who remembered being at school with the artist in question and wonders how he got into the music business and what happened to him after their success in the 1980s. So Dave B, I tracked down Mark Rogers, the man who was Hollywood Beyond, and after he discovered the colour of real money told be how it all began and what’s happened since. Many artists have unfairly been branded one-hit-wonders and usually by people who make cheap Channel 4-type programmes because they can’t be bothered to research properly. Chesney Hawkes is probably the name most banded about as only having one hit because he’s only remember for The One and Only, shame they didn’t remember the other five hit especially the follow-up, I’m a Man Not a Boy which did make the top 30. “I loathe being labelled a one-hit-wonder especially when I had other hit records that were just not as successful as my number”, Chesney told me when I interviewed him back in 2005. The strict term one-hit-wonder means that an artist had only one hit that made number one and then no other chart action whatsoever and there’s not too many of them, 65 in fact from Kitty Kallen in 1954 right up to Rachel Platten in 2015. I haven’t included any of the four number ones of 2016, which admittedly are all debut hits, but are likely to further their careers. Mark had recorded some demos and spent a few years journeying to and from London passing them around from one record company to another and finally got signed to Island publishing and hired David Massey, who was the son of Lulu’s manager, to be his own manager. “David is now head of Mercury records in America, but back then within two weeks got me several offers From A&M and WEA and I was signed by the head of WEA, Rob Dicken. Mark explained how he came up with the idea for the song, “One evening I was watching the film Southern Comfort and heard Parlez Nous A Boire and being interested in creating music that no one else was taking influence from, this track to me represented everything about Thatcherism I hated – a real red neck vibe. I decided to make it funky. I played the track to Jamie who at the time was writing with me and he came up with a bunch of lines which I then crafted into What’s the Colour of Money. Eagle-eyed viewers would have first seen Mark on The Tube, the Channel 4 music show hosted by Jools Holland and Paula Yates. They were performing the song No More Tears and that’s where Rob Dickens first saw him. Rob said, “We tracked him down, heard the demo, brought him in and signed him.” No More Tears was deemed too sophisticated for a debut single, so they opted for What’s the Colour of Money. The parent album, If, should, on the face of it, have been much more successful given the list of quality people involved. The personnel were producer Stephen Hague, who had worked with New Order and OMD and Chris Lord-Alge, who had worked with the likes of Tina Turner, The Trammps, James Brown and Bruce Springsteen, did all the mixing. Other producers included Mike Thorne, who has produced hits for Soft Cell, Bronski Beat and the Communards, Phil Thornally and the late Bernard Edwards – formally of Chic. It contained 10 tracks which offered a diverse mix of influences from soul to jazz-fusion via a bit of rock, but for some reason it never made the UK album chart. Mark said to me, “I am so proud of it because it’s stood the test of time and I learned my craft from some of best producers such as Mike Thorne, Marcus Miller and Bernard Edwards.” Mark added an opinion as to why it wasn’t more successful, “WEA, although believed in Hollywood Beyond, admitted that they didn’t know what to do with it and I think my audience at that time just wanted more of the same which I wasn’t about. I left WEA because it seemed futile to stay at that time. Two further singles, Save Me and After Midnight were hoisted from the album, but neither attracted the record buying public. Two of Mark’s other claims to fame are that in 1987 he discovered soul singer Mica Paris and the following year became the first face on the Soul II Soul T-shirt. In 2010, he founded, and along with Mike Thorne, is the director of BANG (Birmingham Arts Non-profit Group) Foundation which assists, though contemporary art, disadvantaged young people between 16-25 years in socially deprived areas in inner city Birmingham. Is Mark going to do anything more with music? “I am about to start releasing again as it’s in my DNA,” he told me and I have the energy and desire again to want to make music and perform. My new track out in March (this month) and is called Rough Life mixed by another great friend Mike Thorne. It’s a charity record that although not released here yet, went to number one in the New York dance indie chart last year. All money will go towards subsidising the BANG program ENDZ (see the website www.bangfoundation.com for more details). This will be followed my reworks of my underground dance records – Beats from My Heart – before I embark of a new album which I have 70 percent finished. 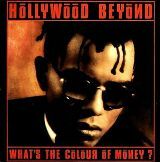 What’s the Colour of Money is 30 years old this year and thankfully does still get airplay on certain radio stations. It was a quality slice of 80s pop and well worth checking out especially if you’re too young to remember it first time round because it still sounds as fresh as it did in 1986.